Height: 10-30 feet (3.5-10 m). 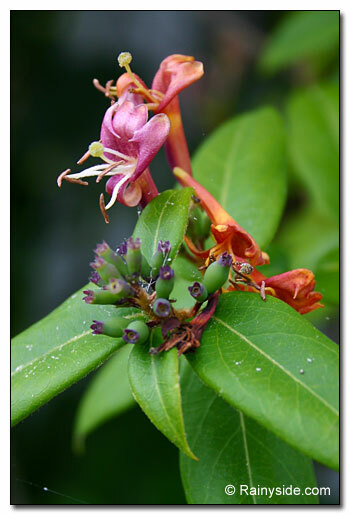 Flowers are ¾-inch long with yellow throats in shades of pink, orange and maroon, followed by dark blue fruits. Evergreen to semi-evergreen, glossy, oblong, pointed leaves. Fertile, humus rich, well-drained soil. Additional watering is needed during our Northwest drought season. Apply complete organic fertilizer in spring. 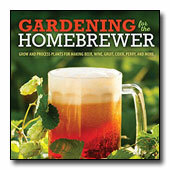 Sow seed as soon as ripe and place in cold frame. Hardwood cuttings in late summer. Thin yearly and prune immediately after flowering. 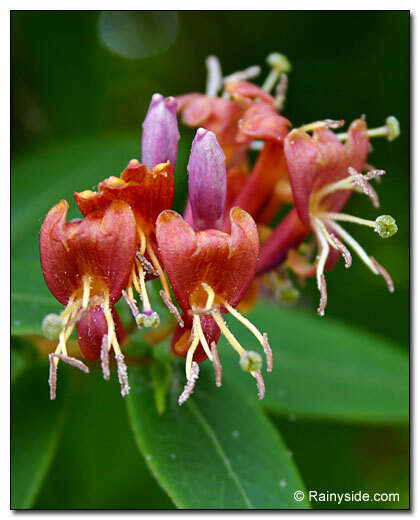 Cut old honeysuckles to within a foot of the ground to rejuvenate. Lonicera henryi's flowers may be smaller than most honeysuckle vines, but their charming blossoms fill the vine with abundance. Hummingbirds frequently visit and later, when the blue berries ripen, other birds feast on the fruit. At first, I was disappointed with this honeysuckle with no fragrance, but I do like its evergreen presence year round. I'm growing fond of the tiny flowers after realizing they are better viewed close up. 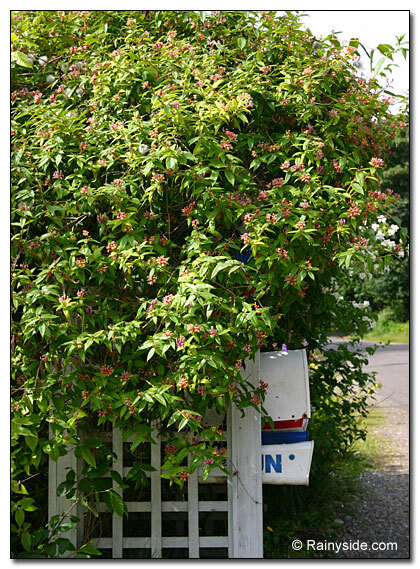 Our mail is delivered to a mailbox nestled in a vine-covered arbor, which I built to get rid of three ugly mailboxes on rotting posts leaning in all directions. 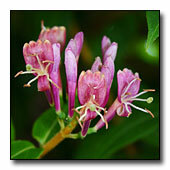 When the honeysuckle is in bloom, it's a pleasure to walk by and view the flowers buzzed by the bees and hummingbirds. The exuberant evergreen vine smothers the structure until you barely see it. 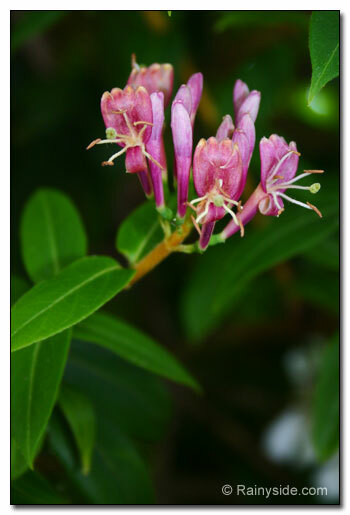 This honeysuckle is a reliable choice for covering ugly structures or hiding wire fences, and it performs splendidly as a ground cover.